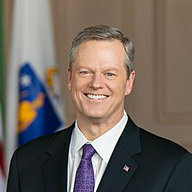 BOSTON – Gov. Charlie Baker said Monday he’s “optimistic” that the Legislature and his administration can reach a deal to reform public education funding by the summer, despite past attempts falling apart in recent years when talks between House and Senate Democrats broke down. Baker, in his inaugural address, said he would be filing a proposal later when he offers his annual budget later this month to update the Chapter 70 funding formula and implement the reforms recommended by the Foundation Budget Review Commission. On Monday, the governor said that proposal would be filed as legislation separate from the budget, allowing it to have its own hearings. “I expect that the House will have its thoughts on what to do with that. I’m sure the Senate will have theirs as well, and it’s I think our hope that by the time we finish the discussion and the debate around the budget that that stuff will get resolved and we can move forward on that,” Baker said. Lawmakers face a July 1 deadline to complete work on the annual budget. A standalone education bill would not face a similar deadline, but could move in concert with the budget if lawmakers decide to do so. The Foundation Budget Reform Commission in 2015 estimated that public schools in Massachusetts were underfunded by $1 billion to $2 billion a year. In the years since, the Legislature and the administration have invested new money to help school districts with health care costs, but have been unable to reach a broader agreement to implement the full range of funding recommendations. Last July, House and Senate lawmakers pushed negotiations up until the final minutes of formal sessions before calling off the talks as they realized an agreement would not possible.